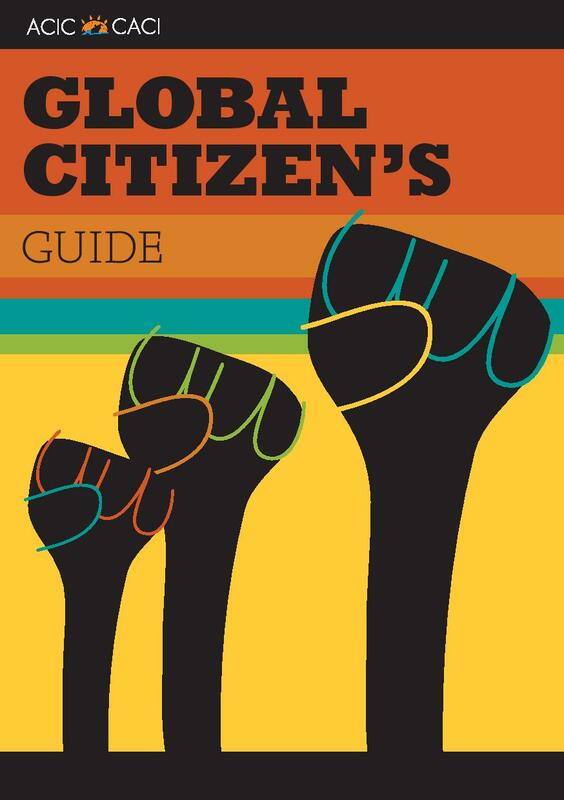 The Global Citizen's Guide outlines a number of ways we can all get more involved with our local and global communities. It offers tips on volunteering, ethical consumption, engaging in democracy, organising events, internships, and much more. It also profiles a number of Atlantic Canadians just like you that are working to make the world a better place. Through our First Voices project, ACIC developed the Medicine Wheel Evaluation Framework as a participatory evaluation tool to help us better evaluate the project's impact. This guide is intended to introduce the reader to the Medicine Wheel, outlining its history and uses, and to show how the Medicine Wheel can be used as an evaluation framework. In 2005/2006 ACIC coordinated a project entitled The South through the Northern Eye. The project explored issues around the images of the developing world found in the media and advertising. This slideshow is an introduction to the issue and the project. As part ofThe South through the Northern Eye project, a literature review was completed that examines some of the tensions around how images are used in NGO fundraising activities, how these images portray development in popular media, and some of the debates on changing the way we use images of the South in the field of development. The South through the Northern Eye photo exhibition toured the Atlantic region in the winter of 2006. An Exhibition Statement introduces the photos within the context of the issues being discussed throughout the ACIC Ethical Images campaign. The actual exhibit can be borrowed from ACIC for display.